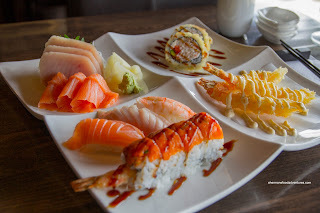 When Gawa Sushi opened up in North Delta, I was wondering if we would finally have a decent Japanese restaurant that was an alternative to Minori (good, but small portions), Akari (okay, but pricey), Nordel Sushi (ew...), Tokyo Express (average) and Hatto (double ew...). Nope, Gawa just provided the same mediocre stuff. *sigh* Wait, what's this? 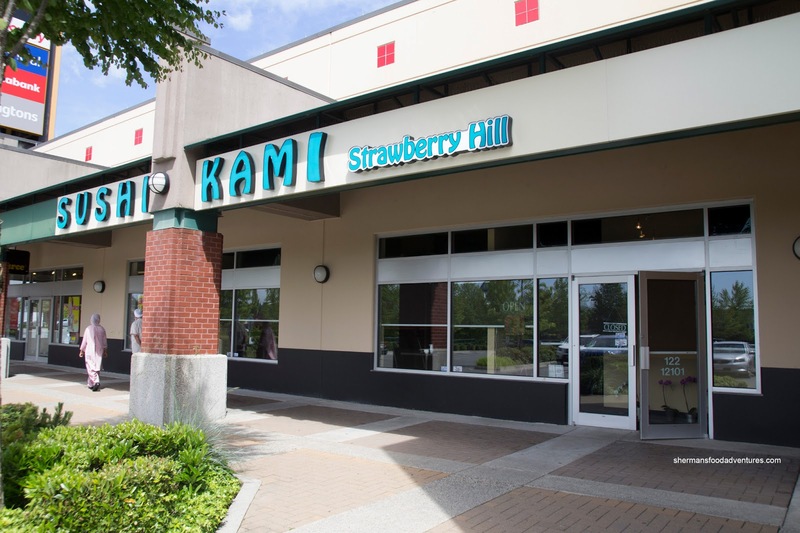 Kami Japanese at Strawberry Hill? With a snazzy dining space and fusion menu, I was a bit skeptical. My first visit consisted of a Chirashi Don (yes again...) and it was pretty good. It was a large portion of chewy flavourful sushi rice topped with lots of nicely textured sashimi. That inspired me to do several return visits just to make sure. On my second visit, I had Combo C (bottom right clockwise, there was Ebiyonnaise, Reno Roll, Sashimi, Nigiri and Spicy Love Roll). 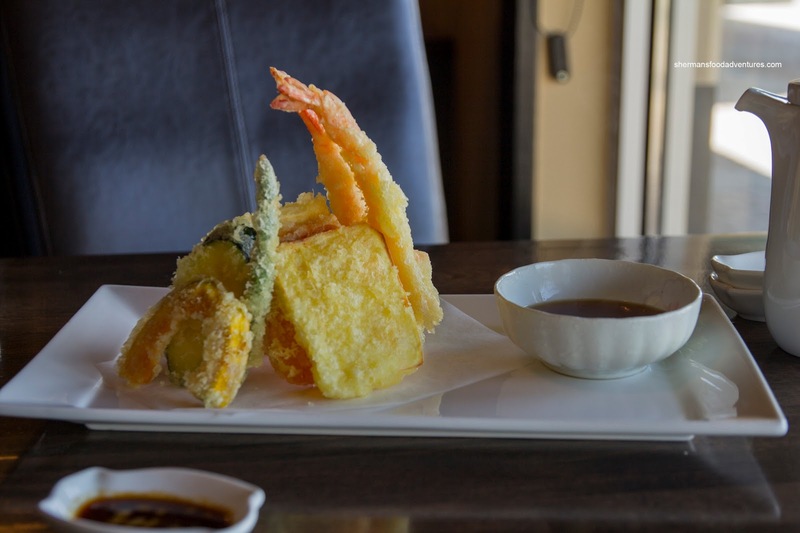 The Ebiyonnaise featured a airy and crispy batter where the shrimp had a light snap. The drizzle of lemony mayo was flavourful and garlicky. 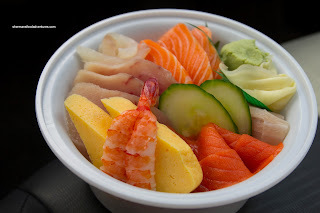 Cut into big slices, the Sashimi was not overbearing to eat since each slice was not too thick. There was nothing amiss with the raw fish as the textures were good and the flavours were clean. With the Nigiri, there was a good fish-to-rice ratio. Again, nothing wrong with the salmon, toro and ebi. The rice itself was not bad having a mild sweetness and slight vinegar hit. Texturally, it was chewy and only slightly gummy. The Spicy Love Roll, lived up to its namesake as the buttery soft tuna on top had a kick while the tobiko provided a nice pop. The inside was essentially a dynamite roll consisting of ebi tempura, imitation crab and avocado. I liked how they used a minimal amount of rice as the roll was not very heavy. Lastly, there was the Reno Roll which included cream cheese, avocado, imitation crab and salmon which was battered and deep fried. The drizzle of house sauce was similar to teriyaki being sweet and savoury. I'm not a huge fan of cream cheese in sushi, but this was just enough. I also got a Chicken Don and it was decent. The rice was chewy while the veggies on top were not wet. The chicken had a nice charred flavour and was sufficiently moist. My only wish would be more sauce. On another visit, I tried the Assorted Tempura which was plated with effort and care. In the end, it was a nicely executed dish where the tempura batter was uniform and light. It was crunchy all the way through and not greasy at all. 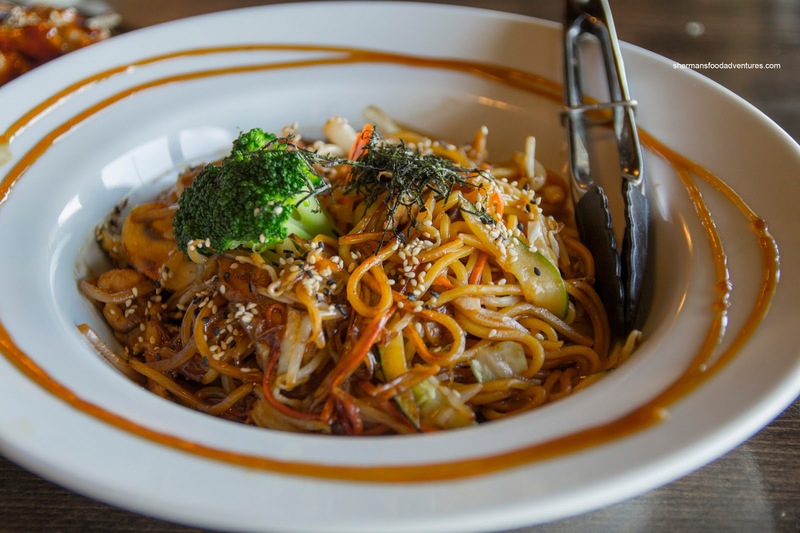 Each piece was carefully cut and were cooked just right. The ebi had a light snap and was naturally sweet. Only complaint was the dipping sauce, it was a tad too sweet. In addition, I tried their Katsu Don which had the same chewy rice as the chicken don. There was enough sauce to flavour the entire bowl, yet didn't drown the rice either. It was sweet with some savoury elements. 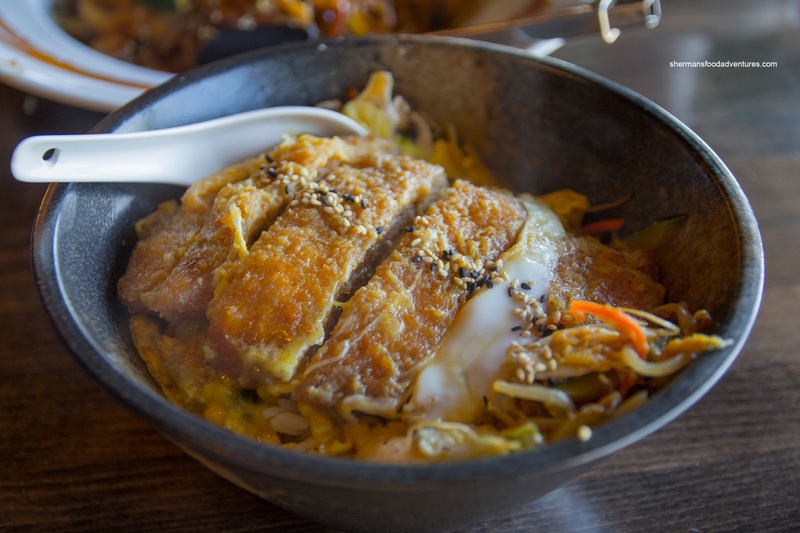 Unfortunately, the katsu was on the drier side and the exterior was not crisp in the least. 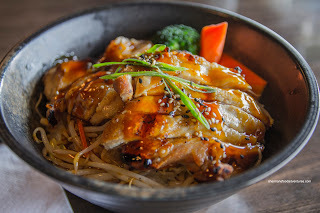 Lastly, I had the Chicken Yakisoba and it was pretty saucy, but not excessively. 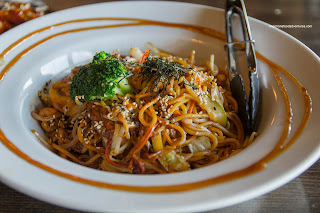 With the amount of sauce, the noodles were really sweet and slightly wet. But I did appreciate the touch of tartness which cut through the sweetness. There was lots of moist chicken throughout. After 3 visits, I've developed an appreciation for Kami, not because it is outstanding, but because it is better than the rest in the area (combination of price, quality and decor). And sometimes, that is all that counts.